Board Treasurer – Reviews all financial documents, receipts and bank statements. Reviews expenditures with boards and seeks approval for various expenses. 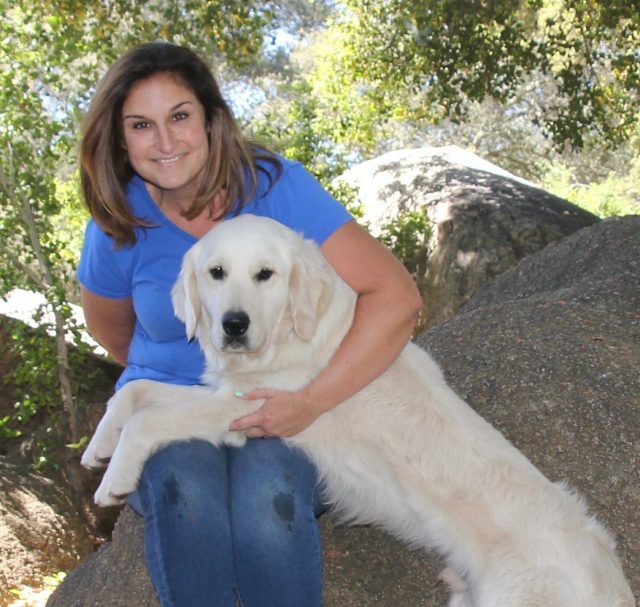 Stephanie brings executive experience to the board, has played a major role in producing large-scale fundraisers for Little Angels over the past five years, and is a family member of a Little Angels Service Dog recipient. 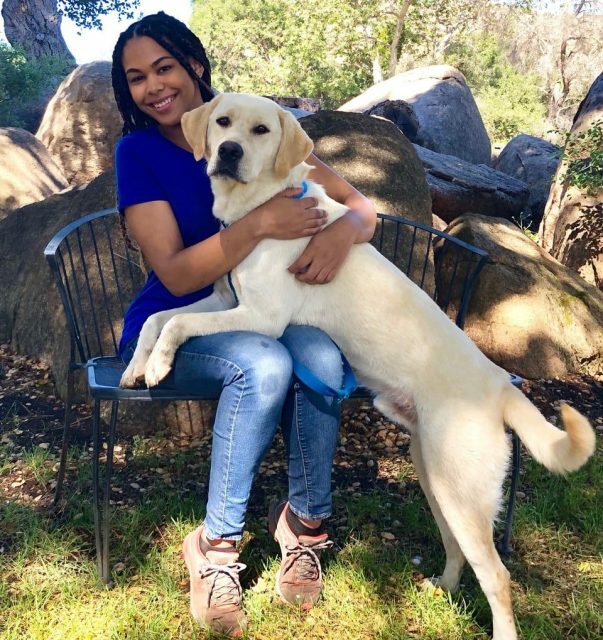 Because of this, she is familiar with the expenses needed to produce and maintain a well trained service dog, all of the effort that goes into raising these expenses, and personally understands the beautiful end results of the investment. 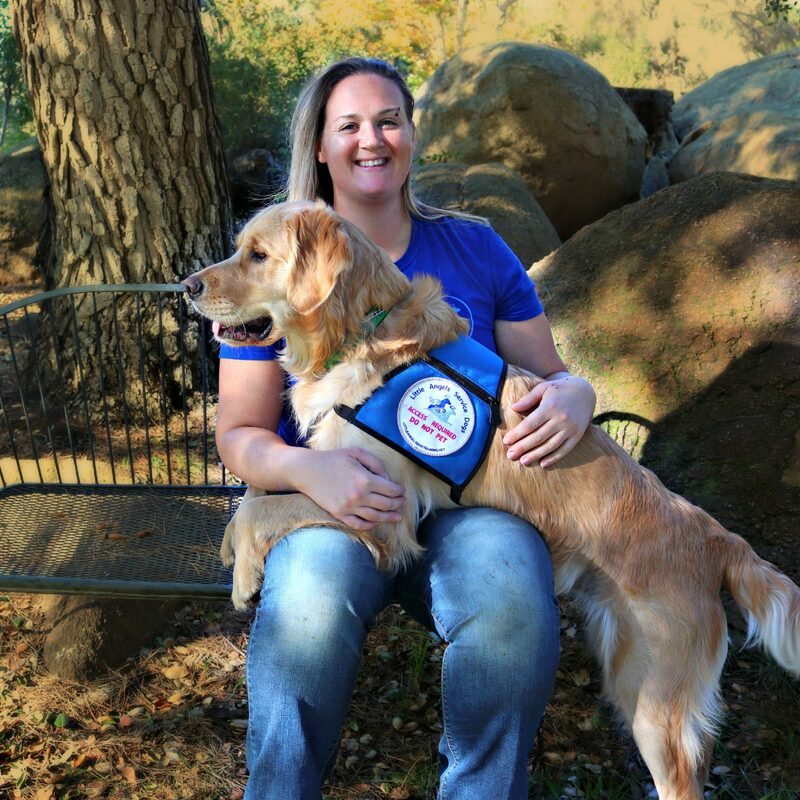 Crystal brings professional legal experience, and is a prior Little Angels Service Dog Trainer, thus being aware of our beginnings, where we’ve come from, and our initial goals moving forward. 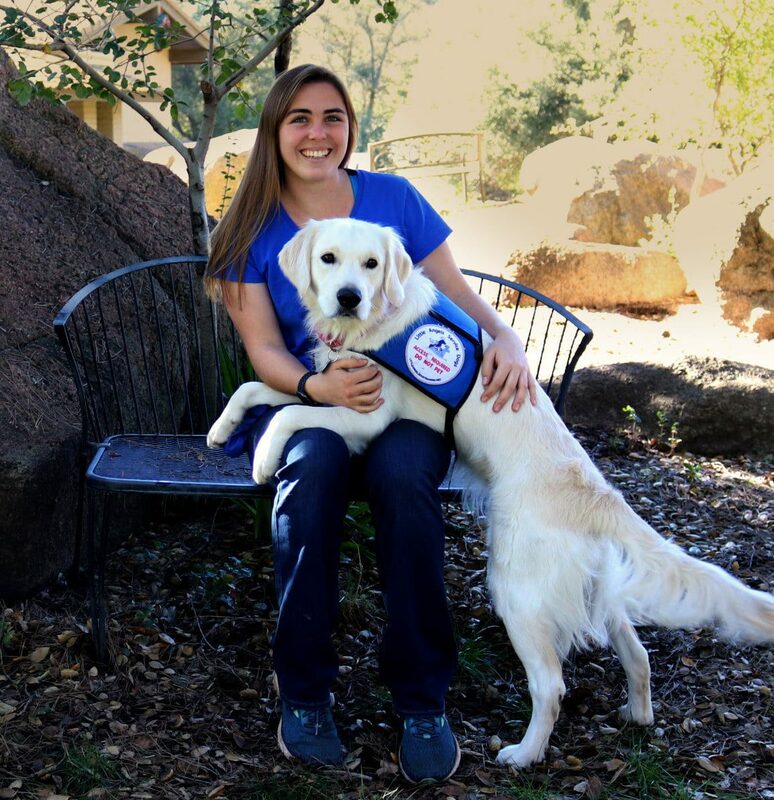 As a trainer, she is familiar with all that goes into training service dogs, and is aware of how important the proper placement of a dog with the right recipient is for the success of the team. Gary joined Little Angels as a volunteer in 2011. He created the Little Angels Facebook page and maintained that for several years before taking on his current position as Board Member. He has also produced videos and professional voice overs for Little Angels. His enthusiasm for helping the disabled through service dogs has helped hundreds over the years. We are lucky to have him on our board! Steve brings professional leadership experience, and has been a dedicated construction volunteer and foster for Little Angels for years. Because of this he is aware of the energy that goes into every little detail of Little Angels, from the floor boards and up. His family has successfully fostered countless dogs through our program, being a vital part of their graduation process and placement with disabled recipients. Director – Oversees training and administrative staff, as well as the Operations Manager for the betterment of the organization as a whole. Training Manager – Responsible for evaluating each dog and trainer’s performance, and gives instruction to move forward with specific trainings methods and tasks based on a dog’s personality and propensities. 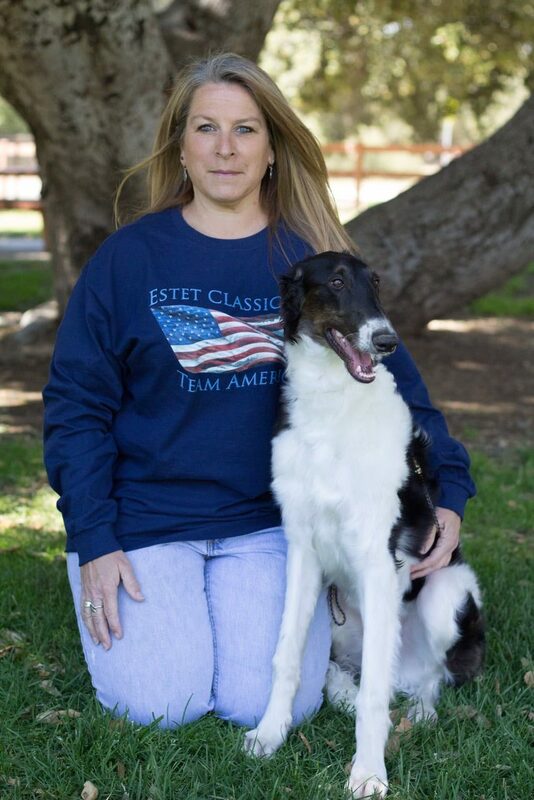 Katie brings business management, dog breeding, animal husbandry, veterinary, kennel management, and 20 years of service dog training experience to the board. She began her career training police dogs, but quickly switched gears when she saw how a well-trained assistance dog could change the life of someone living with a disability. 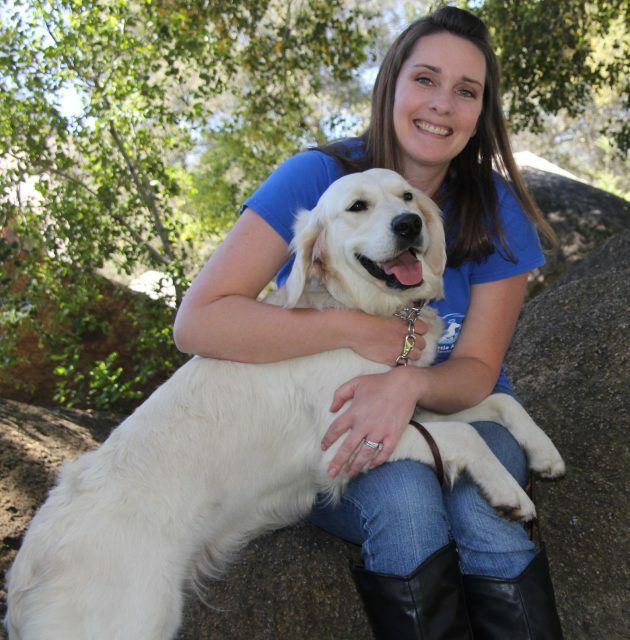 Katie is a professional certified dog trainer and an American Kennel Club CGC evaluator. She reports to the Board of Directors. Operations Manager – Oversees the management of the kennel, foster program, events coordination, and all handler training instructors for a smooth running of day-to-day operations at the ranch. Handler Training Coordinator: Responsible for training handler training instructors and oversees recipient instruction. Responsible for recipient follow-up and updates through maintenance reports, emails and phone calls to previous recipients and waiting recipients. Coordinates Handler Training with recipients before their visit to San Diego. Webmaster – Responsible for construction of website and updates, media review and marketing. Facebook Administrator – Works to keep facebook consistently updated with news, pictures and videos of the ongoings at Little Angels. Answers Facebook messages. Josh is originally from New Hampshire and has spent the last four years in Boston, Massachusetts earning a degree in Sport Management and Marketing with a minor in Spanish. During the summer of 2016, Josh’s younger brother became a Little Angel’s Recipient. 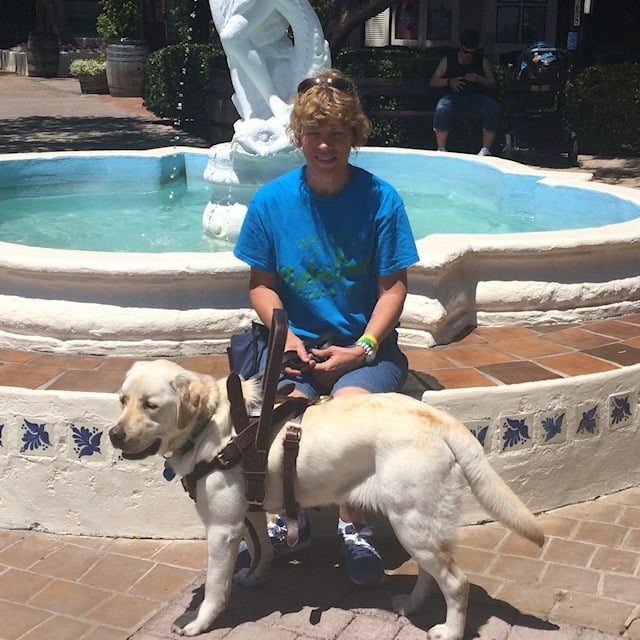 Josh was lucky enough to accompany his brother to San Diego and join him through the incredible journey of Handler Training. 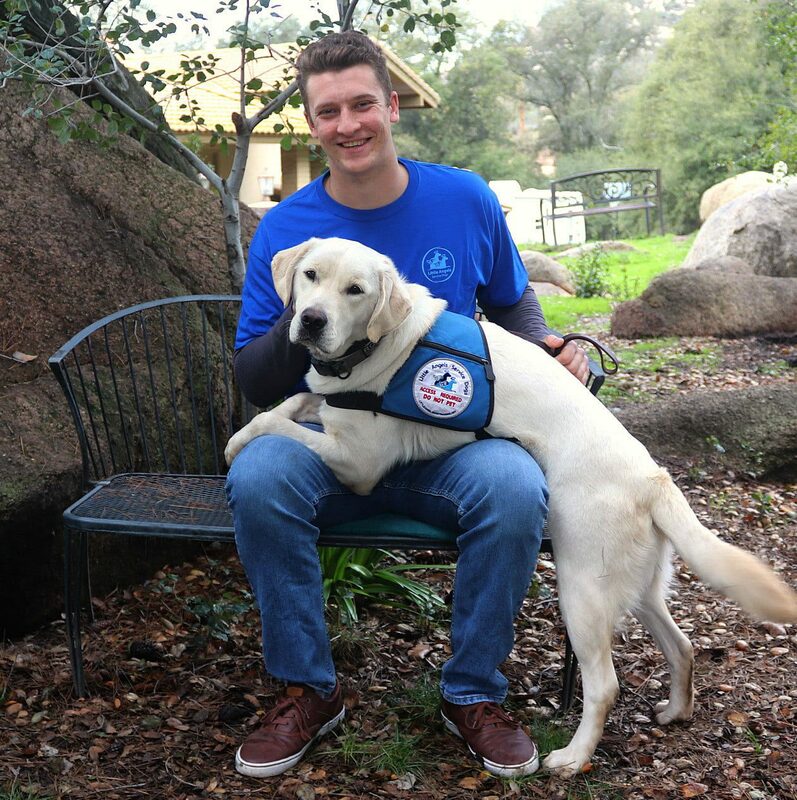 Once he saw how quickly a service dog was able to change his brother’s life, he knew this was a career path he wanted to follow! Josh took a foster dog home to the east coast to train for seven months, before moving to the west coast to work for Little Angels full time. He is now enjoying giving others the opportunity his brother was able to have. Board Secretary – Accurately records minutes and administrates for board meetings. My position at Little Angels as, Admissions Administrator, is much more than just a job to me. I truly want to help all of my applicants through the LASD application process and in doing so change their lives for the good. I also know that this is a very stressful time for my applicants and their families. Not only are they having to tell a complete stranger about their disability and many matters that they may have always preferred to keep private, they also are stressed about the outcome of their acceptance into the Little Angels program. I do try to alleviate some of that stress and let them know that I am on their team in their effort to obtain a service dog. I have been involved with Little Angels from the inception more that 20 years ago. It is a pure delight to see how far this brainchild of Katie’s to give the disabled to a opportunity lead a more stable and comfortable life, has come. I remember when the concept of “Changing Lives One Dog at a Time ” was born and seeing the actual change that our dogs are making in peoples lives is one of the most fulfilling accomplishments of my life. Instagram, Twitter, Youtube & Pinterest Administrator – Works to keep all of these platforms updated with new and awesome content for our users, as well as produce exciting videos of our dogs. Foster Recruiting – Recruiting of new fosters at fairs, churches, colleges and malls. Creation and design of foster advertisement brochures, flyers and materials. Screeing of new fosters through application review, phone interview, and home inspection. Judy is a professional comedian and delights the masses with her sense of humor. We can always rely on Judy when we need a good laugh to lighten the day. 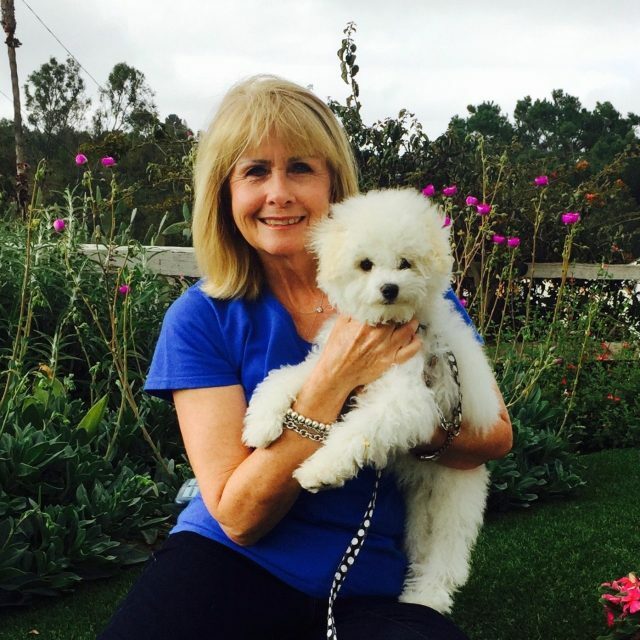 Judy is also a past recipient of a service dog, and so was inspired to help our program with her many talents, so we in turn can help more in need. Judy also holds her certification from Little Angels as a service dog trainer and always makes herself available when we need a helping hand. Darlene is originally from New Hampshire and was introduced to Little Angels after her son had to get a service dog from LASD. She has always loved dogs, but never quite realized what they could be capable of until she saw how one was able to help son. Being enthralled with the process, and wanting to be able to help others achieve what she had for her boy, she asked to stay involved with the company! She loves being able to help other families understand the waiting process, and give advice on how she was able to get through it with her family. She’s an amazing asset for all our recipients struggling with waiting for their dog! 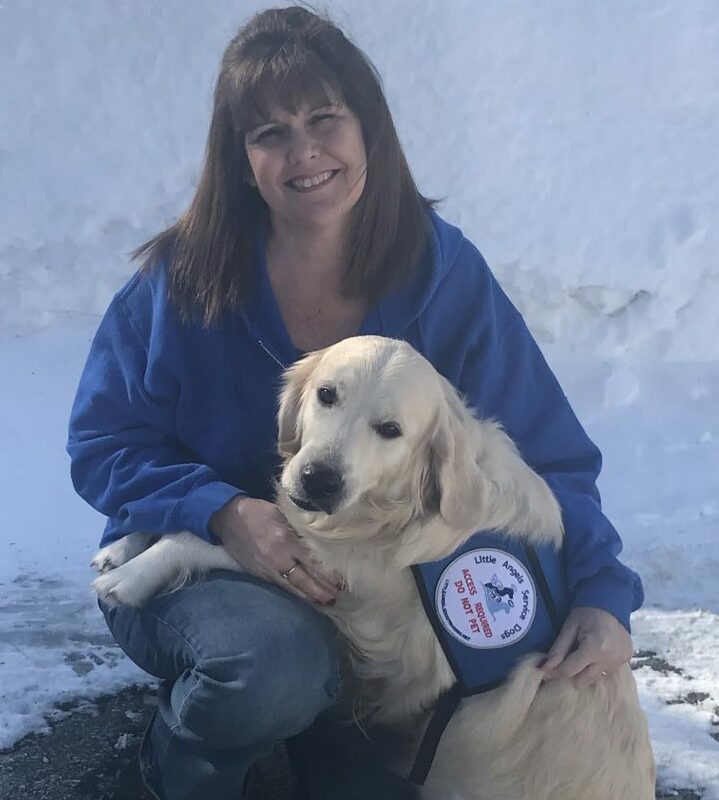 Julia comes to our organization with many years of experience in the medical and customer service fields, however, what makes her an ideal employee is that she herself is the recipient of Hope, a Little Angels Service Dog. She knows firsthand what it’s like to go through the application process, fundraising, the wait time for placement, and best of all living a new, more independent life with the help of her Little Angel. Julia is extremely grateful to have Hope by her side and to be a part of helping others receive their life changing dogs. Behavioral Tracking – Records and tracks problem behaviors in dogs for further research in genetics and development. 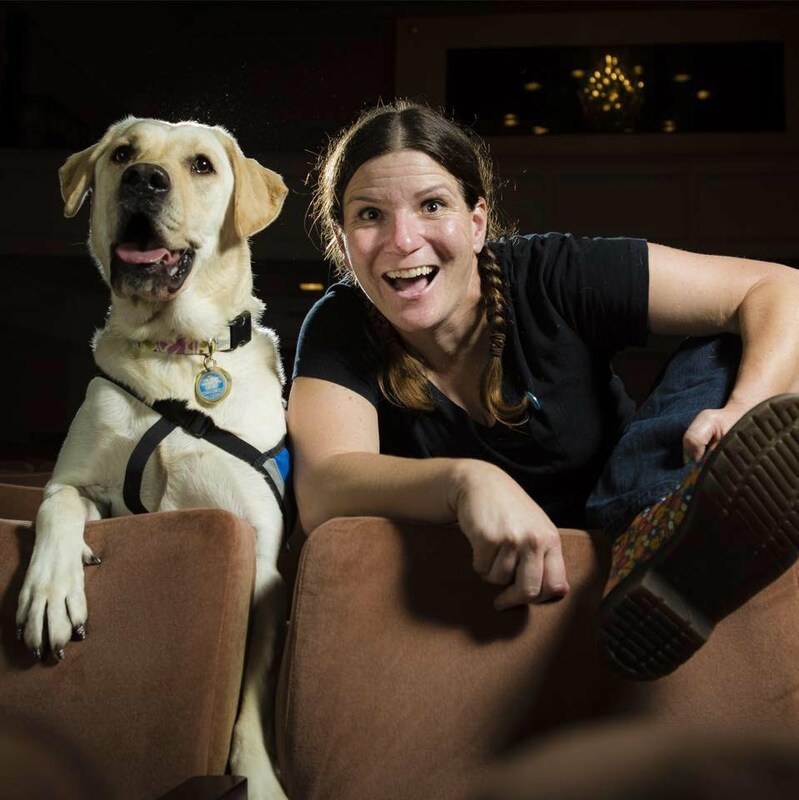 Dana has been involved in the assistance dog industry for over eight years and has whelped multiple litters for service dog programs. Dana has the gift of a watchful eye when it comes to the little details that go into starting a newborn puppy on the path to good health and behavior to become a much-needed service dog. Dana has trained for Little Angels for years and is a blessing to those touched by the program. Pack Leader – Full time trainer, groomer and advocate for her pack of dogs. Medical Coordinator – Schedules and vaccinates incoming dogs, schedules and coordinates rabies vaccines, spays/neuters and medical clearances. Oversees medication administration. We were lucky enough to meet Sam and bring her onto our team after she gained a lot of experience within Starbucks Management. 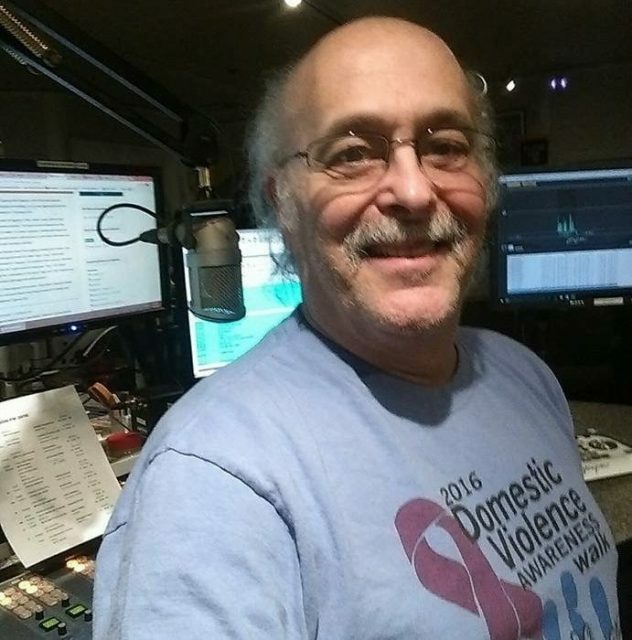 Sam originally grew up in Santa Rosa, California and recently moved to San Diego. Dogs have always been one of her biggest passions, and she’s even convinced she was a dog in a past life! Sam has her own fur-child named cheddar, and small kitten named Hazel. She always loved being around dogs, but never envisioned the chance to work with them for a career. Now that she has found Little Angels she’s so happy to give her love for dogs a purpose. On the rare occasion that she doesn’t have a leash in hand treat pouch on the belt, you can find Sam at the beach, which is her favorite place to relax! Our pups are so fortunate to have Sam be a part of their training routine! Alaina is originally from Napoleon, Michigan and moved to the San Diego area over a year ago. She currently studies business management while also working for Little Angels. 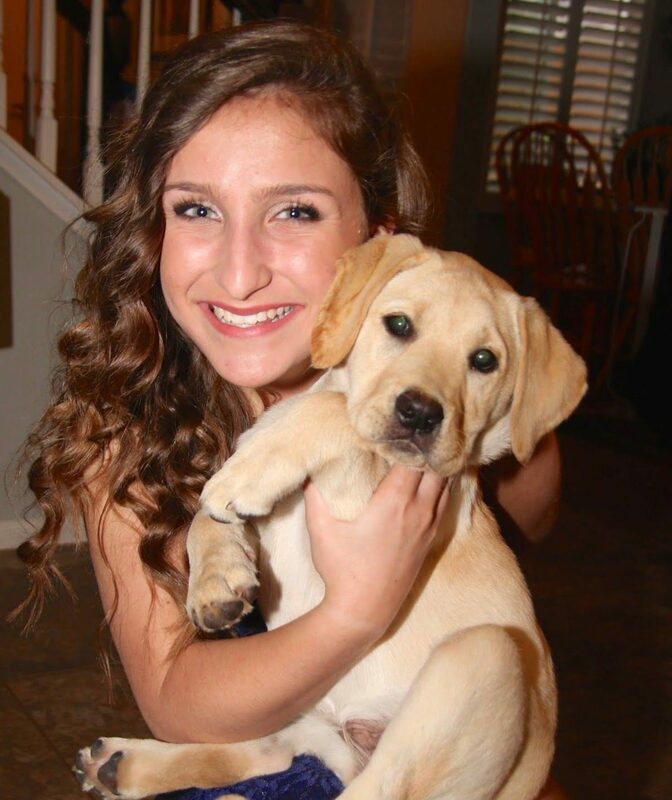 Alaina grew up loving dogs and her childhood best friend was a Black Golden-Lab named Gracie! She first became interested in Little Angels through the foster program, and then ended up getting a job! Alaina’s favorite part of being with the company is working so hard with each of her dogs and getting to see the end result when they go home with their forever person. Outside of work, she enjoys staying active outdoors and continually exploring all of the hidden adventures San Diego has to offer. We are so happy to have her a part of our training team! 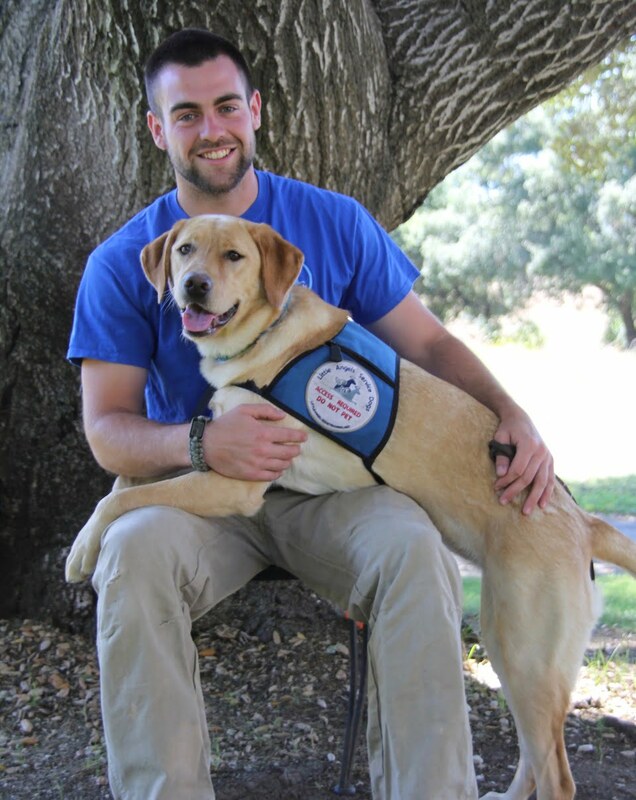 Spencer has been with Little Angels for about two years and has quickly worked his way up through the company. After getting hired for kennel maintenance he has worked up to being a full time trainer and helping run our foster program. Spencer was one of the three employees that moved to open our new ranch in New Hampshire, and he will play an integral part in making that successful. 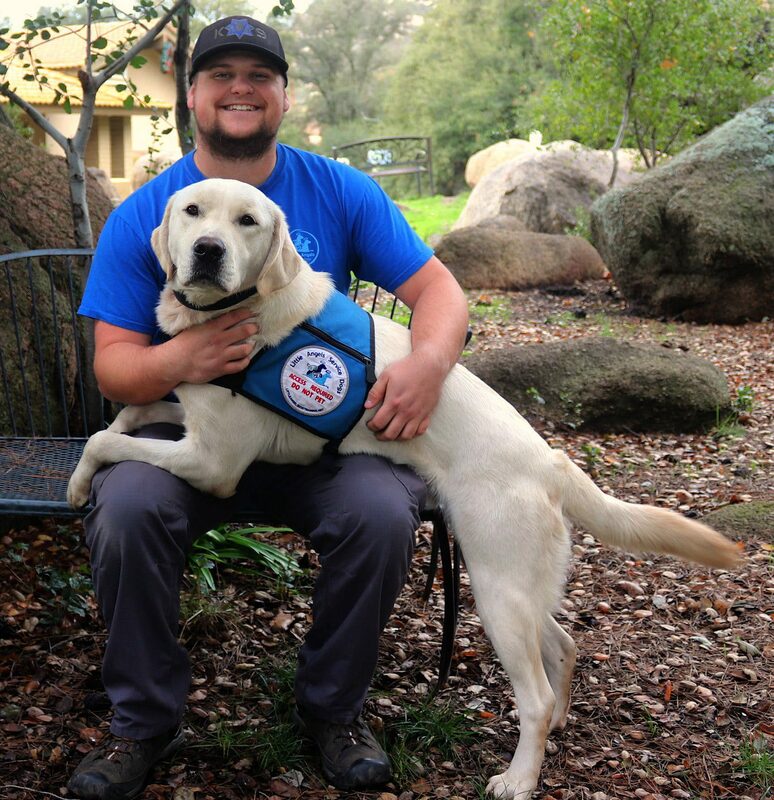 Spencer has two personal dogs of his own, and when he isn’t spending time and training them, he fills his personal time with sports, outdoor activities, and fishing. He looks forward to exploring his new home in Bartlett! We are very lucky to have Spencer contributing to LASD!